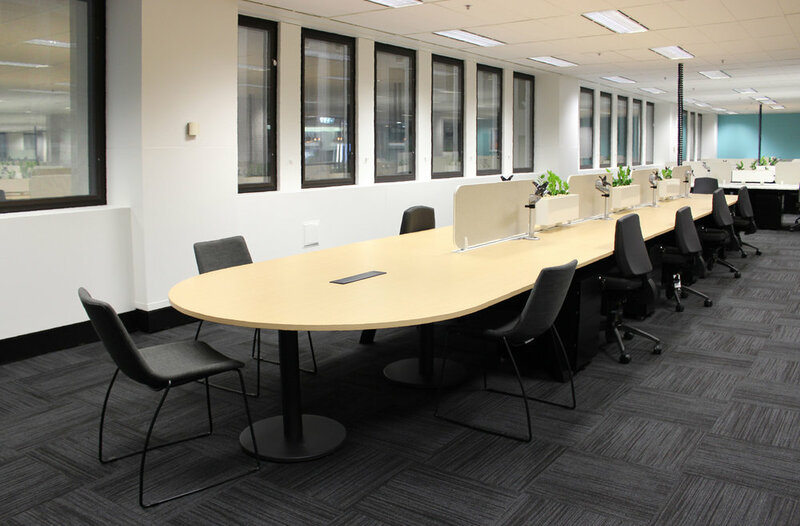 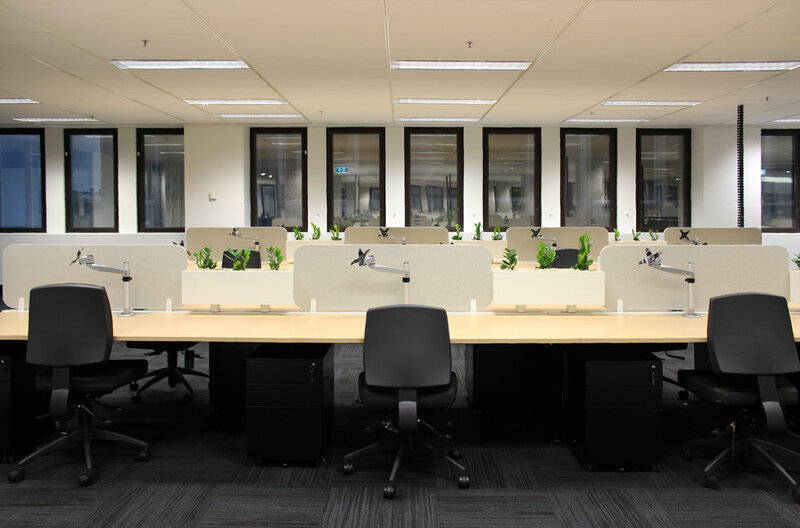 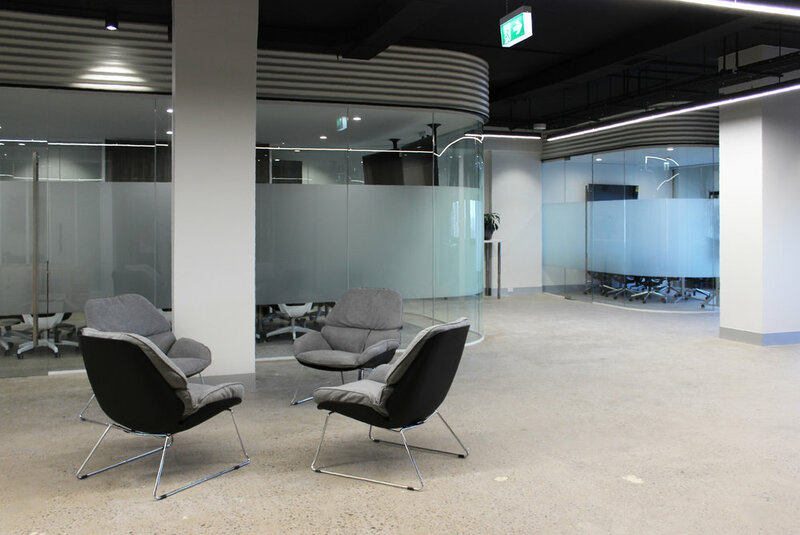 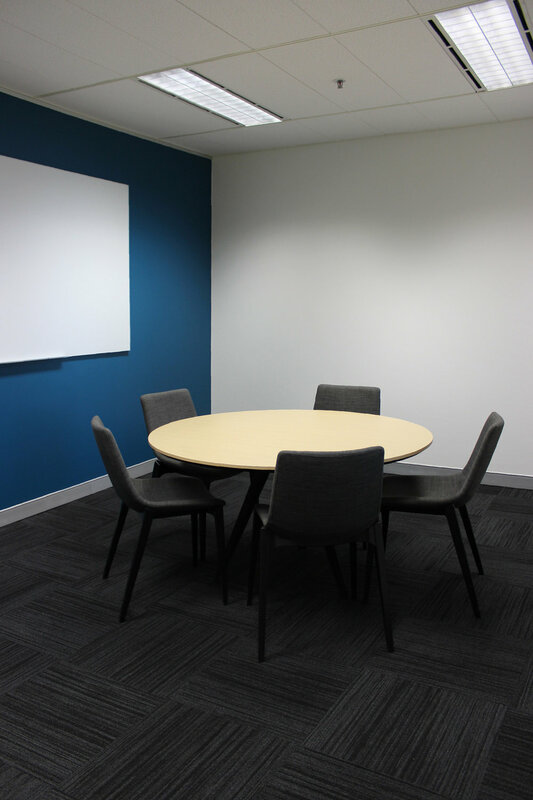 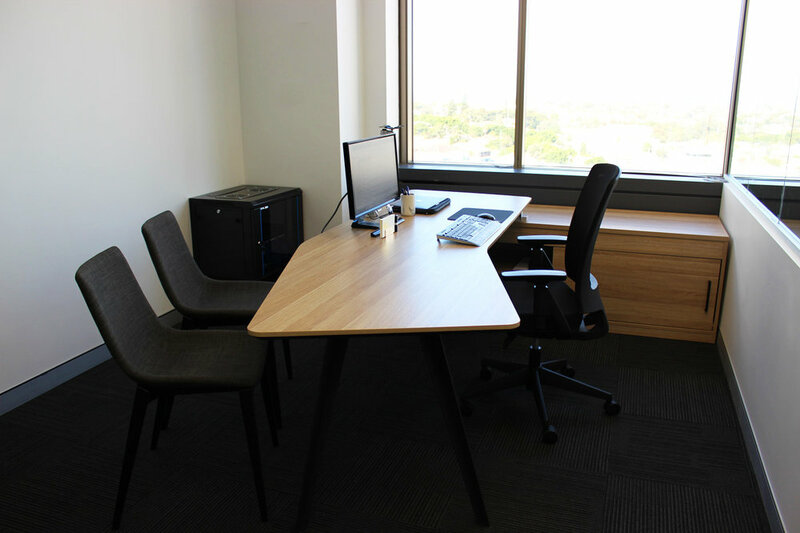 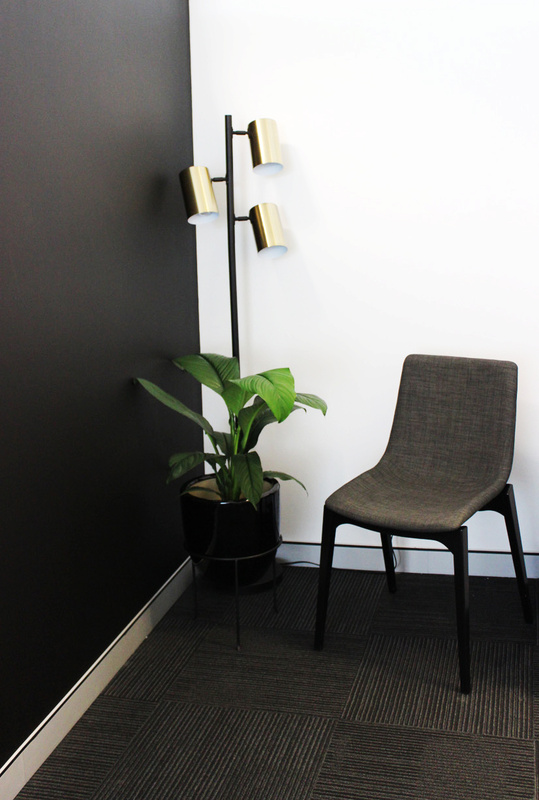 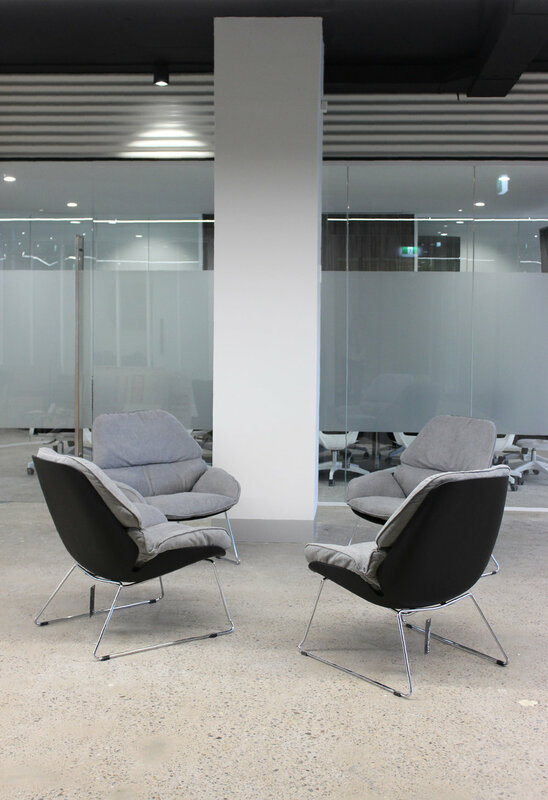 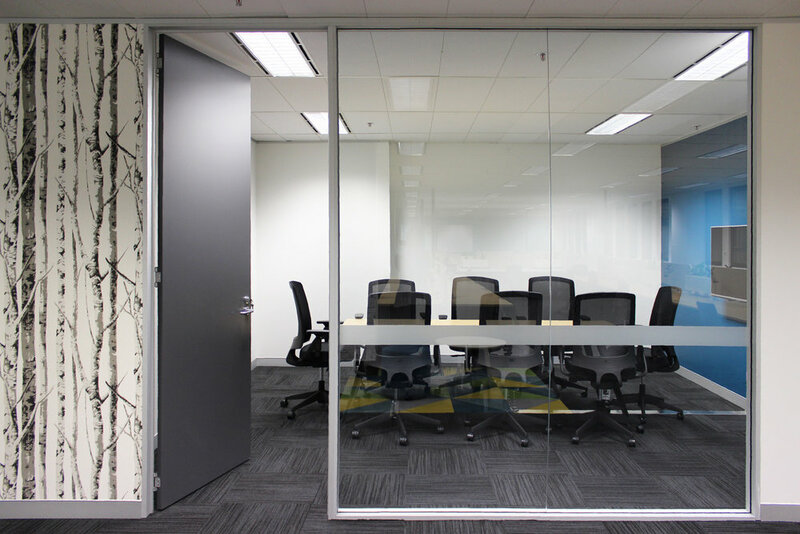 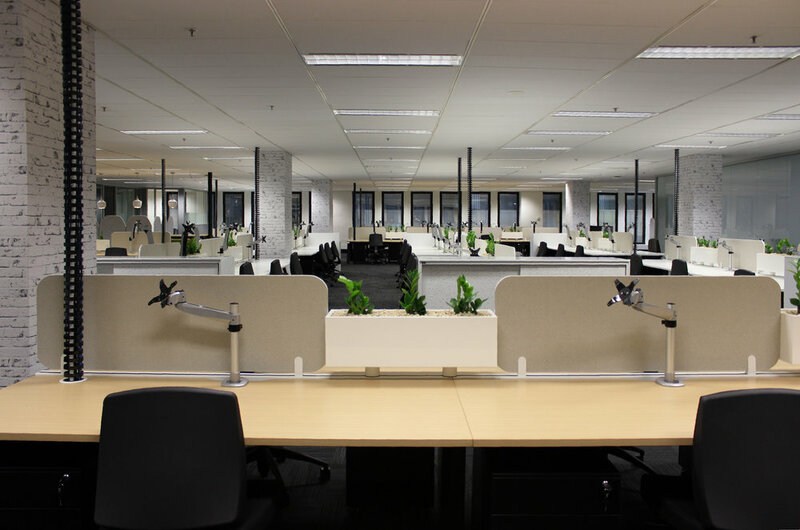 We recently completed another project in one of Sydney CBD's buildings spreading over 2 levels and hosting over 200 employees. 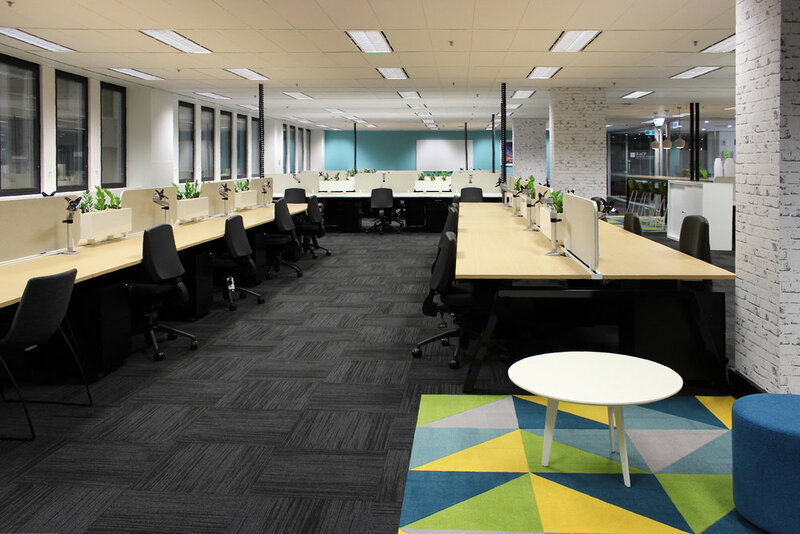 The large space was broken into several working zones thanks to our sets of Scape screens and accent of colours brilliantly defining the breakout areas. 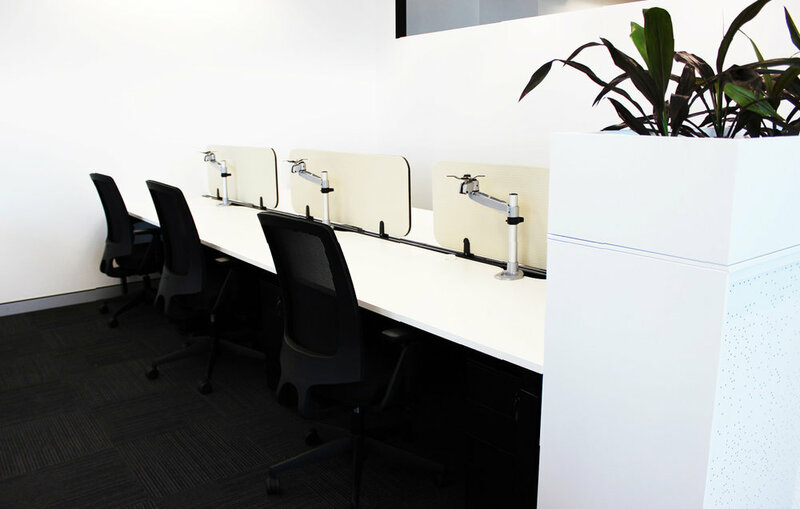 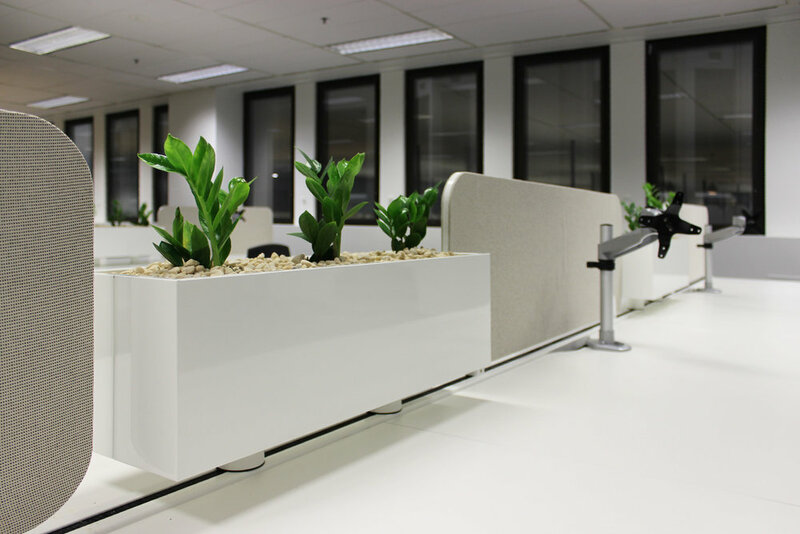 The open office and its eye-catching colour palette features our black Keywork workstations with a selection of white and woodgrain tops paired with our Trak screens, Trak planters and Aim chairs. 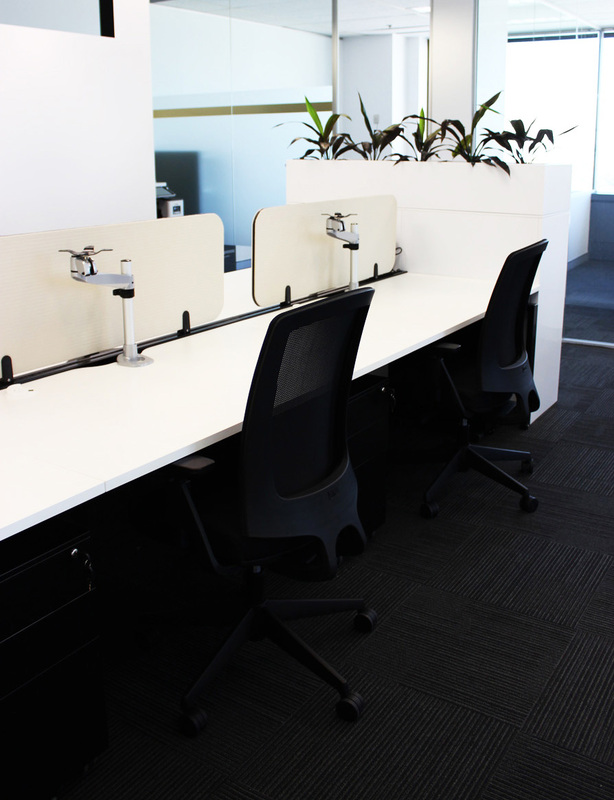 Personal and general storage is provided by individual black Globe mobile pedestals and white Sliding Door Cupboards. 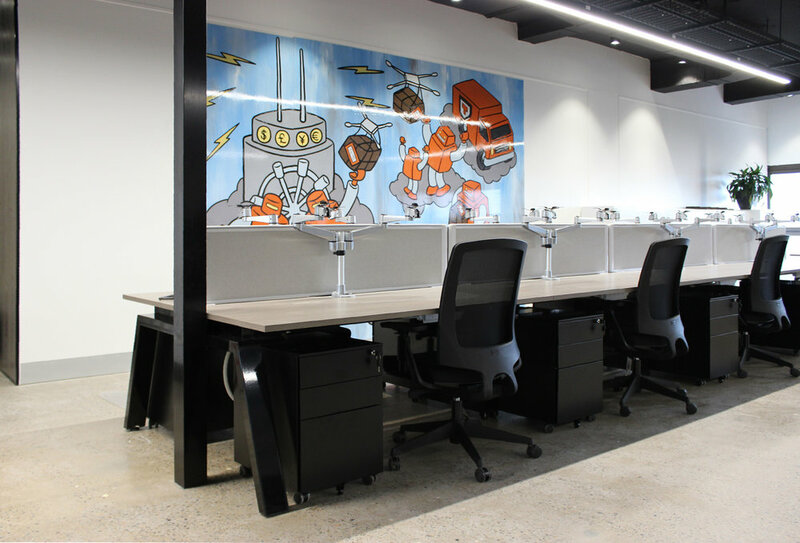 Unsightly power and data cables were cleverly concealed in our black Umbilical cords descending from the ceiling directly into the workstations. 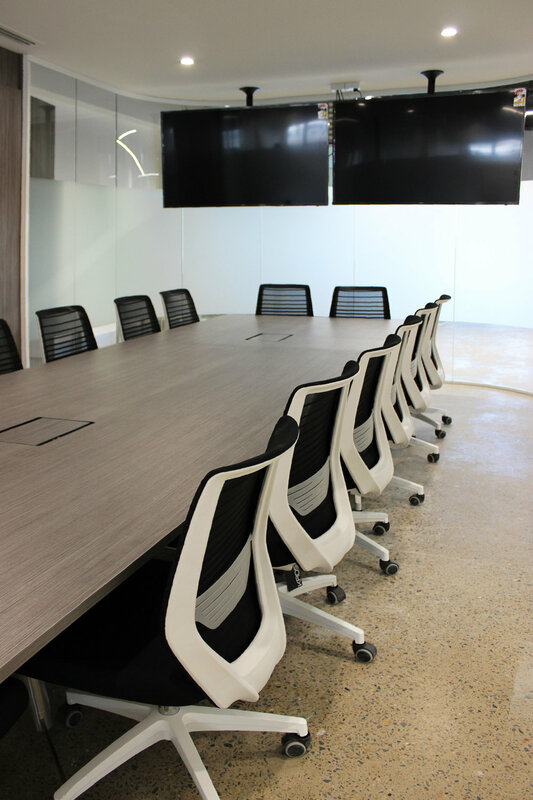 Breakout spaces and informal meeting areas were furnished with our Uno counters, Zorro stools and chairs, Bop ottomans, Hush lounges and Dart coffee tables while private meeting rooms feature Dart meeting tables, Miro chairs and Whiteboards. 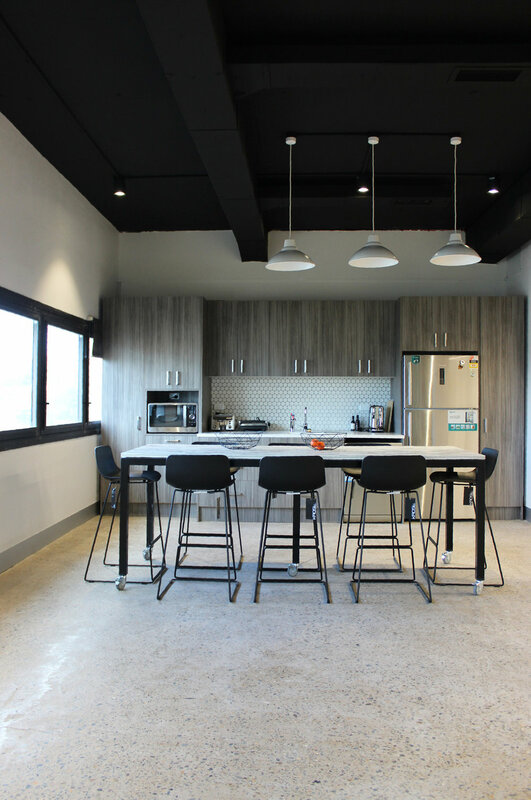 The stunning kitchen was designed to accommodate a large number of staff whilst encouraging communication. 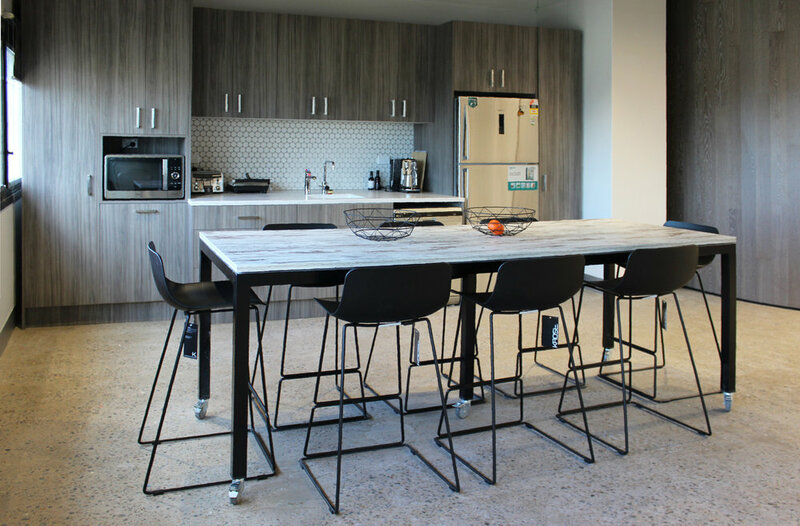 A custom Jam counter with Zorro stools is the centrepiece of the space and smaller settings featuring our Zorro chairs and Dart tables provide additional seating. 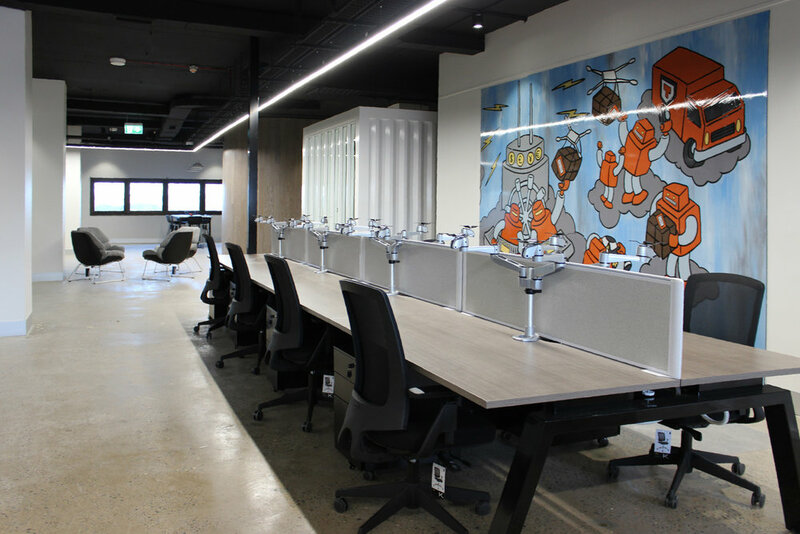 What started as a vast empty shell was successfully transformed into a modern and exciting work space for all to enjoy and thrive in.